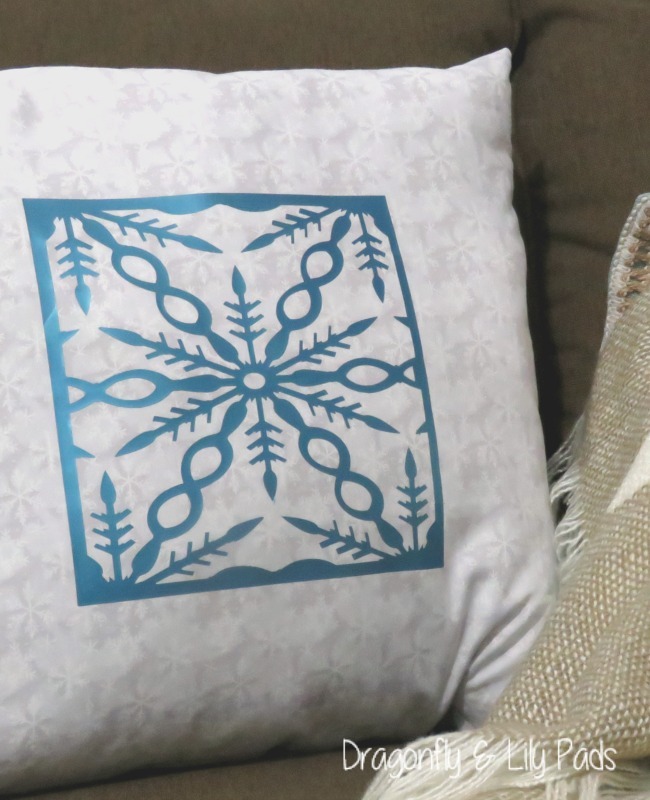 This Sunday is the Craft and Create with Cricut Challenge. 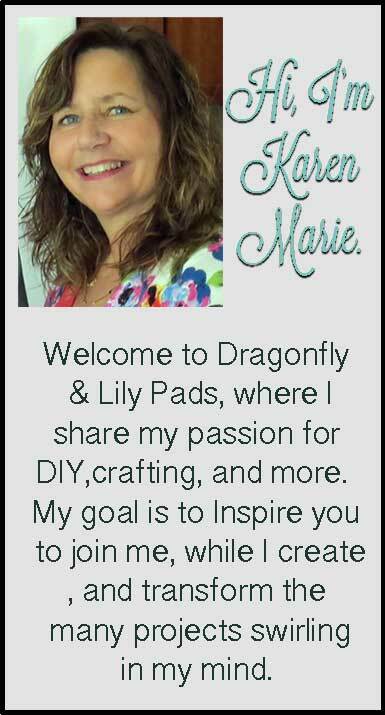 Michelle and Jeanie have been kind enough to round up some Crafty, Creative Cricut lovers who share their beat ideas each month with you. 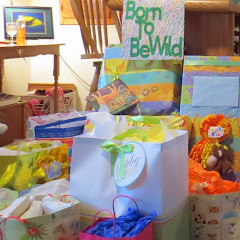 Thank you Michelle and Jeanie for being the masterminds of this fun challenge. 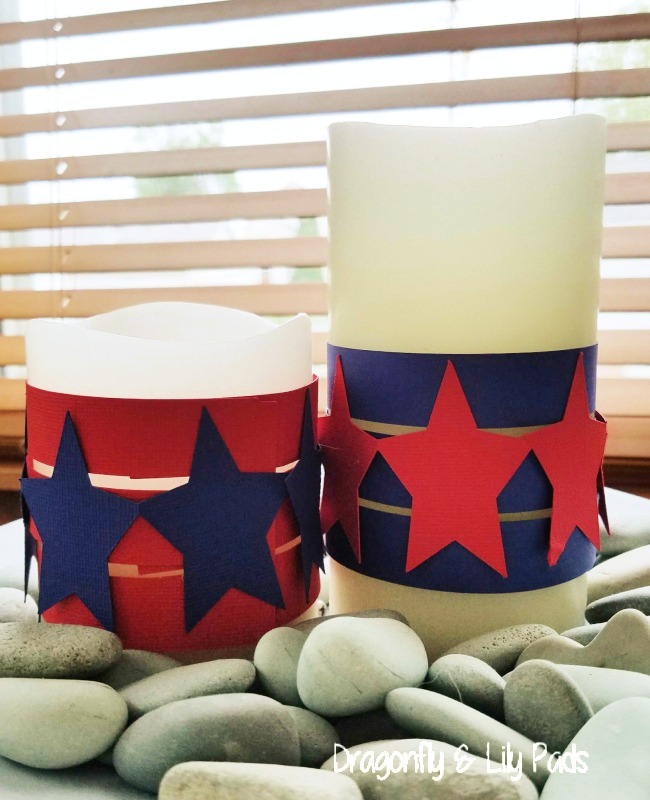 The 4th of July theme has me thinking Stars and Stripes which will brighten my decor by day and glow while the fireworks light up the night sky to cap of a fun day of celebrating the USA. Do you remember this post on DIY Holiday Candle Wraps for the Winter Holidays? 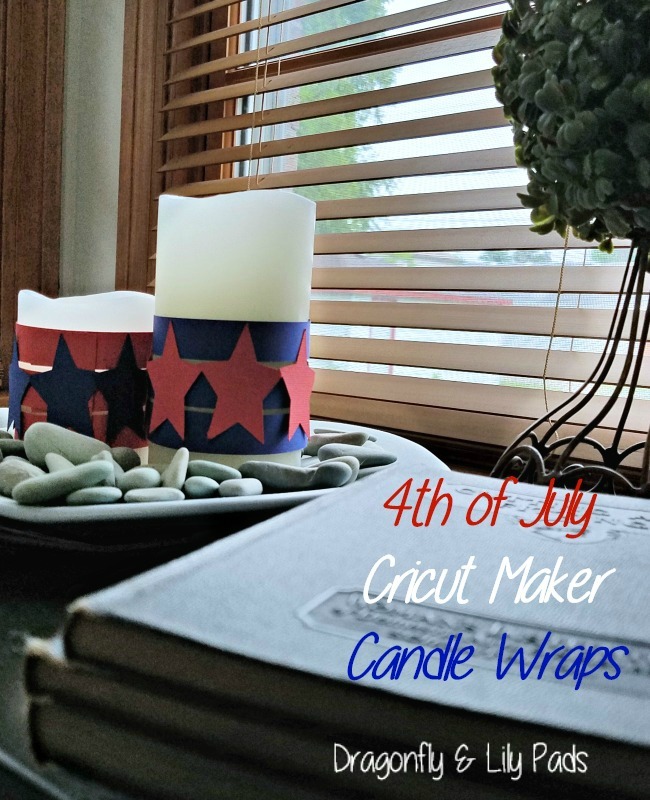 To learn how to make the candle wraps refer to the link above for a tutorial. 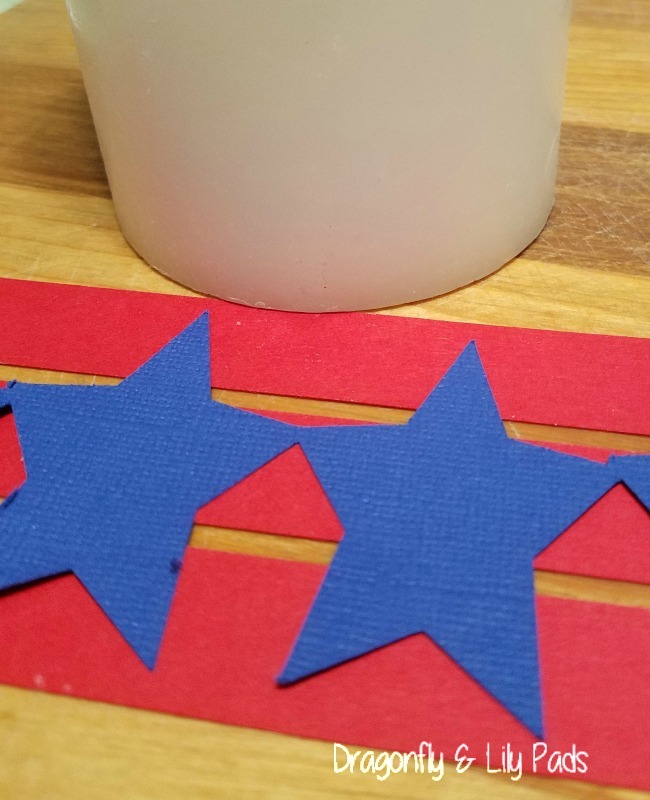 Cut out the stripe design with a tab on one end, and do the same with the stars in both red and blue cardstock. Weed and grab double sided tape to add to the tab. Place the tape on the tab then wrap the paper designs around the candle. 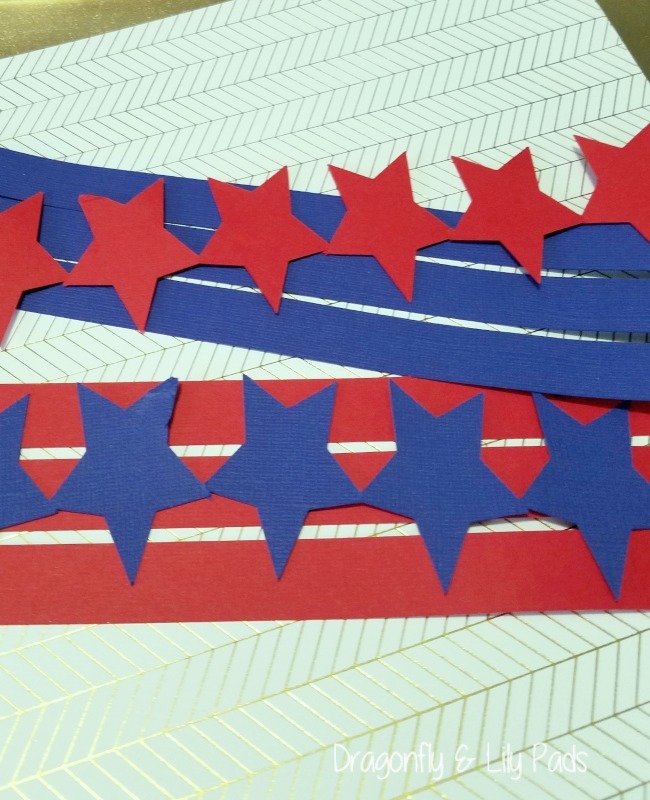 To make the most of the card stock, I filled the 12" X 12" paper with stars and stripes in alternating colors. Now onto the remain talented 12 bloggers sharing their ideas. Enjoy the Holiday with family and friends take care over the weekend. I'd love to see your visits for a lifetime. The paper candle wraps make such a huge change to the candle. That's a great idea to dress up candles anytime of the year. 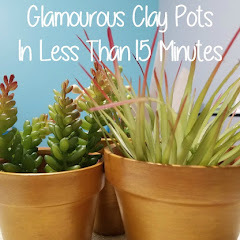 What an easy way to dress up a plain candle!